United nations - The Palestinians hope to mobilize countries, political leaders and millions of supporters to back their demand for recognition as an independent state in September, the Palestinian’s top U.N. diplomat said Wednesday. Riyad Mansour told a group of reporters Wednesday that the Palestinian people are ready to take to the streets peacefully as they did in 1987, and follow in the footsteps of Tunisians and Egyptians earlier this year, to demand an end to Israel’s occupation and independence. The United States, Israel’s ally, is the main stumbling block to U.N. recognition of a Palestinian state because of its veto power on the Security Council. The 15-member council must recommend statehood, and only then can the 192-member General Assembly vote on membership, which must be approved by a two-thirds majority. 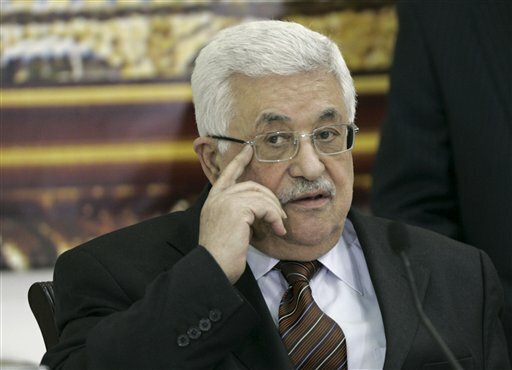 Mansour indicated that a key Palestinian goal in the coming months is to increase the number of states recognizing Palestine from 112 at present to 130 or 140, more than the two-thirds required, and to increase pressure on President Barack Obama’s administration. Mansour wouldn’t say exactly what would happen between now and September in the Palestinian territories, but he indicated that there could be protests that spread elsewhere. “If hundred of thousands of Palestinians are in the streets for weeks and weeks before D-day in September expressing their desire to end occupation and seek independence — and to be supported by millions of Arabs in the Arab capitals and cities, and maybe millions of supporters from all the way to Indonesia and in the United States and Europe — then what would be the argument of President Barack Obama in trying really to disregard this wish, not only of the Palestinian leadership but the entire Palestinian population?,” he asked. Mansour said if diplomacy and peaceful protests aren’t sufficient, “we have other tactics that we can use in order to flex additional muscles in order to make it very, very difficult for anyone to obstruct our effort.” But he refused to elaborate on what those tactics might be. Maybe a Palestinian State is the answer. And when the first rocket or attack comes from the other side of the wall, then Israel can say that they started a war and bomb them back to the stone age. Then they can take over the country and annex it legally. If the Palestinians want to follow in the footsteps of Tunisians and Egyptians, then they should overthrow their dictatorship which is the Palestinian leadership. Israel is not in the picture; Israel is not oppressing them; Israel is not killing them. It’s not the United States and Israel that is the stumbling block to a Palestinian state; it is their desire of Israel’s destruction and to use a Palestinian state only as a a stepping stone to destroy Israel which is the real stumbling block. The 15-member council and then can the 192-member General Assembly will vote to finish the job that the Nazis started; because the only purpose for a Palestinian state is to then fight Israel “legitimately” and drive them into the sea. That is the real agenda they have which Mansour doesn’t speak about – that is when we hear. when the UN passed the resolution in 48 to divide Jerusalem, they didn't except what the UN said. Now, they want us to listen...a bunch of morons. That's what happens when the President cowers to terrorists. Not only does he look stupid, they don't even respect him. The matter must go before the UN Security Council before being discussed in the General Assembly. It will only take a single veto vote from one of the five permanent members of the Security Council to scuttle the issue. Write to your congressmen and senators and tell them how you feel about this issue. do you realize that your idea entails possible injuries or worse cv for yidden? How about if millions of Israelis take to the streets and protest against the palestinians! Lets all march into ramalla and gaza and make a peacefull protest for as long as it takes even if we need to stay for a few months and put an end to these deadly dictatorships! Been there, done that, and then Israel gave back the Sinai for relatively little, and Gaza for less than nothing. How many cycles of this can Israel do? I guess this means that the Palestinians are abandoning the Oslo agreements, which clearly state that a Palestinian state can only be formed by negotiations. Fine by me. Let Israel formally annex all of the WB and tell all of the naysayers that it was the other side that gave up Oslo first.